Can PS3 play MP4 files via USB drive? From above lists, we can see that PS3 can play only play MP4 files with H.264/MPEG-4 AVC High Profile (AAC LC) codec, if the MP4 files contains other incompatible video or audio codec such as MPEG-4 ASP, PS3 will fail to play them. How to solve PS3 won’t play MP4 files via USB? If you are stuck with playing unsupported MP4 files on your PS3 through USB drive, the most effective solution is convert MP4 files to PS3 accepted video codec. There are many program on the market can do the job for you. For your convenience, here, we would like to recommend you Pavtube Video Converter for Windows/Mac (support Mac OS X El Capitan), the biggest merits of this program is that it enables you to directly output MP4 to PS3 preset profile formats with all the suitable playback settings such as codec, bit rate, size, frame rate, sample rate, channels, etc for you. This feature will be very helpful for those who are unfamiliar with parameter configuration. 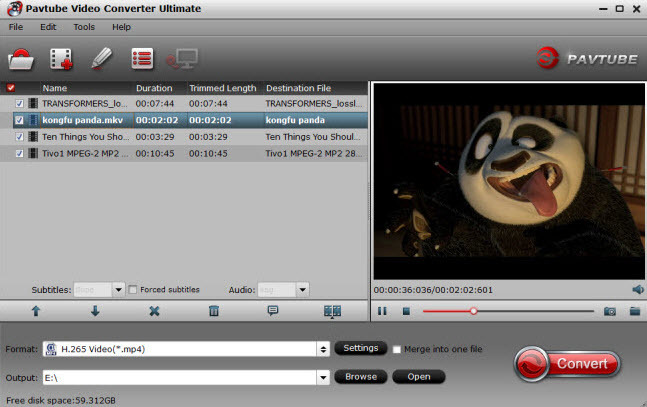 Wish to move or stream your whole media library with not only common media files but also commercial Blu-ray/DVD disc to PS3, then what you need is a powerful media conversion tool like Pavtube Video Converter Ultimate for Windows/Mac which can comprehensively transcode all incompatible file formats and also Blu-ray/DVD with region code to PS3 playable file formats. How to transcode and play MP4 Files on PS3 via USB drive? Step 1: Input MP4 files to the program. 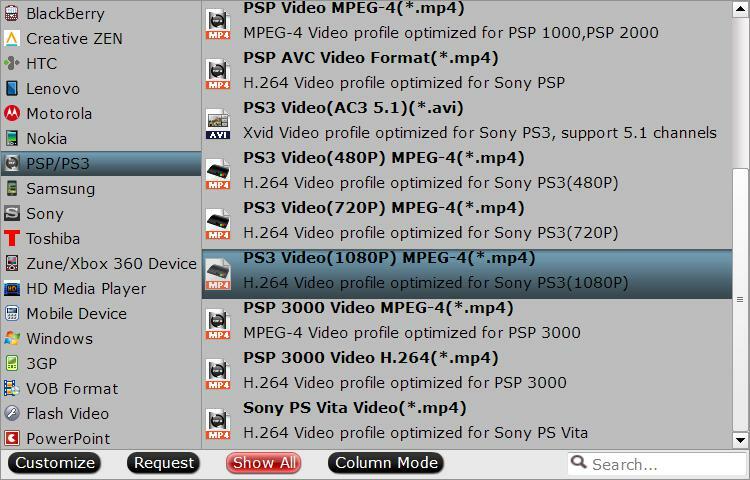 Step 2: Output PS3 preset profile formats. Click the “Format” bar, from its drop-down list, select PS3 preprogrammed file format from “PSP/PS3” > “PS3 Video (1080P) MPEG-4(*.mp4) as the output file format. Go back to the main interface, hit right-bottom “Convert” button to start MP4 to PS3 preset profile format conversion process. When the conversion is completed, hit the “Open Output Folder” on the main interface to pop out the folder with converted files. Then transfer the generated files to your USB drive, plug the USB drive into your PS3 USB port for playing MP4 files on PS3 via USB. How to Stream Local Media Files to PS3 with VLC Media Player? MKV Not Supported by Blu-ray Player via USB? Solved! Why can't I add MP4 to PowerPoint for presentation? How to convert Flip Ultra HD MP4 to 720p AVI video?